Note that Joseph's brother John married Sarah's sister Margaret Ratcliff. 1 male under age 5 (Levi). 2 males age 5-10 (Simeon and Amos). 1 male age 30-40 (Joseph). 2 females under age 5 (Margaret and Eleanor). 1 female age 10-15 (Rebecca). 1 female age 30-40 (Sarah). 1 male age 5-10 (John Garner). 1 male age 10-15 (Levi). 1 male age 15-20 (Simeon). 1 male age 20-30 (Amos). 1 male age 40-50 (Joseph). 1 female under age 5 (Anne). 1 female age 5-10 (Sarah). 1 female age 10-15 (Margaret or Eleanor). Joseph Hinshaw, age 59, born in North Carolina; farmer; $900 real estate. Sarah Hinshaw, age 53, born in North Carolina; cannot read or write. Amos Hinshaw, age 31, born in North Carolina; laborer. Margaret Hinshaw, age 21, born in Ohio. Garner Hinshaw, age 19, born in Ohio; laborer. Sarah Hinshaw, age 16, born in Ohio. Ann Hinshaw, age 14, born in Ohio. Joseph Hinshaw, age 69, born in North Carolina; farmer. Sarah Hinshaw, age 63, born in North Carolina. Ann Hinshaw, age 24, born in Ohio. 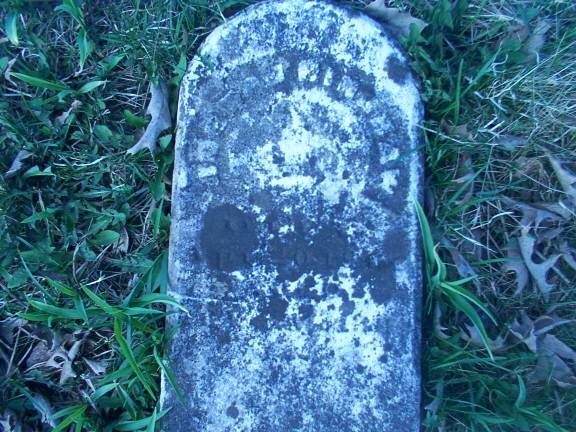 Joseph Hinshaw died Apr 20 186710,20,21,22 ; age 76y 1m 10d10,20,21,22. Sinclair, Elias, age 34, born in Ohio; farmer; $1,800 real estate; $600 personal property. Sinclair, Rebecca, age 53, born in North Carolina; mother. Hinshaw, Sarah, age 73, born in North Carolina. Hinshaw, Ann, age 34, born in Ohio. Osborne, Jasper, age 13, born in Indiana; attended school. 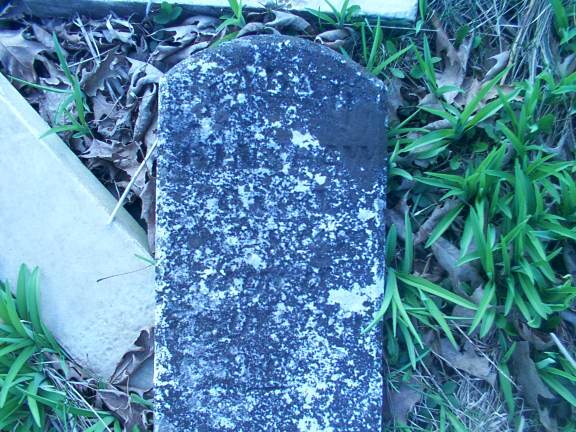 Sarah died Apr 28 187820,21,22 [18731,10, 18753]; age 76y 2m 9d20,21,22. 1850 census, District 165, Jefferson Township, Clinton County, Ohio; roll M432-668, page 235A, line #7, dwelling #585, family #585. Biographical sketch of Garner Hinshaw. 1840 census, Clinton County, Ohio; page 393. 1830 census, Clinton County, Ohio; page 255. Contribution from Jack Stockman (). 1830 census, Clark Township, Clinton County, Ohio; roll M19_129, page 255. 1830 census, Clark Township, Clinton County, Ohio; roll M19_129, page 249. 1840 census, Jefferson Township, Clinton County, Ohio; roll M704_385, page 393. 1840 census, Clark Township, Clinton County, Ohio; roll M704_385, page 371. 1850 census, District 165, Jefferson Township, Clinton County, Ohio; roll M432-668, page 234B, line #17, dwelling #579, family #579. Contribution from Bob Allen (). 1870 census, Warren P.O., Jackson Township, Wells County, Indiana; roll M593-372, page 29B, line #11, dwelling #205, family #198.